Lesson 3.1: Comprehending College Level Reading by Using the Reading Apprenticeship Approach – How to Learn Like a Pro! 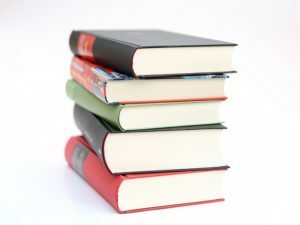 Most students entering college have not yet dealt with the level of difficulty involved in reading–and comprehending–scholarly textbooks and articles. The challenge may even surprise some who have pretty good reading and comprehension skills so far. Other students for whom reading has mostly consisted of social media, texts, forum chat rooms, and emails, find they are intimidated by the sheer amount of reading there is in college classes. There are other challenges as well, having to do with a variety of issues. To begin this unit, complete the “Reading Sample for Annotation,” below, to determine where your reading challenges might exist. Below is an excerpt from Wikipedia on the subject of reading comprehension. As you read it, annotate for the relevant bulleted items, just below. You may not experience all of the listed items. You can highlight, circle, underline, and/or write notes in the margins. You will have fifteen minutes to complete this exercise. Note that several of the terms in the excerpt are technical and most people would not normally know them. These would be examples of items to circle or highlight, not look up at this point. P.S. I tried to find something relevant, but “dry,” if you know what I mean (no offense to the wonderful author of this article). where you became distracted by environmental issues such as noises, lighting, etc. Reading comprehension is defined as the level of understanding of a text/message. This understanding comes from the interaction between the words that are written and how they trigger knowledge outside the text/message. Comprehension is a “creative, multifaceted process” dependent upon four language skills: phonology, syntax, semantics, and pragmatics.Proficient reading depends on the ability to recognize words quickly and effortlessly. It is also determined by an individual’s cognitive development, which is “the construction of thought processes”. Some people learn through education or instruction and others through direct experiences. There are specific traits that determine how successfully an individual will comprehend text, including prior knowledge about the subject, well-developed language, and the ability to make inferences. Having the skill to monitor comprehension is a factor: “Why is this important?” and “Do I need to read the entire text?” are examples. Lastly, is the ability to be self-correcting to solve comprehension problems as they arise. Reading comprehension involves two levels of processing, shallow (low-level) processing and deep (high-level) processing. Deep processing involves semantic processing, which happens when we encode the meaning of a word and relate it to similar words. Shallow processing involves structural and phonemic recognition, the processing of sentence and word structure and their associated sounds. This theory was first identified by Fergus I. M. Craik and Robert S. Lockhart. Comprehension levels can now be observed through the use of a fMRI, functional magnetic resonance imaging. fMRIs’ are used to determine the specific neural pathways of activation across two conditions, narrative-level comprehension and sentence-level comprehension. Images showed that there was less brain region activation during sentence-level comprehension, suggesting a shared reliance with comprehension pathways. The scans also showed an enhanced temporal activation during narrative levels tests indicating this approach activates situation and spatial processing. Initially most comprehension teaching was based on imparting selected techniques that when taken together would allow students to be strategic readers however in 40 years of testing these methods never seemed to win support in empirical research. One such strategy for improving reading comprehension is the technique called SQ3R: Survey, Question, Read, Recite, and Review that was introduced by Francis Pleasant Robinson in his 1946 book Effective Study. Between 1969 and to about 2000 a number of “strategies” were devised for teaching students to employ self-guided methods for improving reading comprehension. In 1969 Anthony Manzo designed and found empirical support for the ReQuest, or Reciprocal Questioning Procedure, it was the first method to convert emerging theories of social and imitation learning into teaching methods through the use of a talk rotation between students and teacher called cognitive modeling. Since the turn of the 21st century, comprehension lessons usually consist of students answering teachers’ questions, writing responses to questions on their own, or both. The whole group version of this practice also often included “Round-robin reading”, wherein teachers called on individual students to read a portion of the text. In the last quarter of the 20th century, evidence accumulated that the read-test methods were more successful assessing rather than teaching comprehension. Instead of using the prior read-test method, research studies have concluded that there are much more effective ways to teach comprehension. Much work has been done in the area of teaching novice readers a bank of “reading strategies,” or tools to interpret and analyze text. Instruction in comprehension strategy use often involves the gradual release of responsibility, wherein teachers initially explain and model strategies. Over time, they give students more and more responsibility for using the strategies until they can use them independently. This technique is generally associated with the idea of self-regulation and reflects social cognitive theory, originally conceptualized by Albert Bandura. Reading comprehension and vocabulary are inextricably linked. The ability to decode or identify and pronounce words is self-evidently important, but knowing what the words mean has a major and direct effect on knowing what any specific passage means. Students with a smaller vocabulary than other students comprehend less of what they read and it has been suggested that the most impactful way to improve comprehension is to improve vocabulary. Most words are learned gradually through a wide variety of environments: television, books, and conversations. Some words are more complex and difficult to learn, such as homonyms, words that have multiple meanings and those with figurative meanings, like idioms, similes, and metaphors. The method of focusing of broad instruction on many words was developed by Andrew Biemiller who argued that more words would benefit students more, even if the instruction was short and teacher-directed. He suggested that teachers teach a large number of words before reading a book to students, by merely giving short definitions, such as synonyms, and then pointing out the words and their meaning while reading the book to students.The method contrasts with the approach by emphasizing quantity versus quality. There is no evidence to suggest the primacy of either approach. The final vocabulary technique, strategies for learning new words, can be further subdivided into instruction on using context and instruction on using morphemes, or meaningful units within words to learn their meaning. Morphemic instruction has been shown to produce positive outcomes for students reading and vocabulary knowledge, but context has proved unreliable as a strategy and it is no longer considered a useful strategy to teach students. This conclusion does not disqualify the value in “learning” morphemic analysis – prefixes, suffixes and roots – but rather suggests that it be imparted incidentally and in context. Accordingly, there are methods designed to achieve this, such as Incidental Morpheme Analysis. In the 1980s Annemarie Sullivan Palincsar and Ann L. Brown developed a technique called reciprocal teaching that taught students to predict, summarize, clarify, and ask questions for sections of a text. The use of strategies like summarizing after each paragraph have come to be seen as effective strategies for building students’ comprehension. The idea is that students will develop stronger reading comprehension skills on their own if the teacher gives them explicit mental tools for unpacking text. “Instructional conversations”, or comprehension through discussion, create higher-level thinking opportunities for students by promoting critical and aesthetic thinking about the text. According to Vivian Thayer, class discussions help students to generate ideas and new questions. (Goldenberg, p. 317). Dr. Neil Postman has said, “All our knowledge results from questions, which is another way of saying that question-asking is our most important intellectual tool” (Response to Intervention). There are several types of questions that a teacher should focus on: remembering; testing understanding; application or solving; invite synthesis or creating; and evaluation and judging. Teachers should model these types of questions through “think-alouds” before, during, and after reading a text. When a student can relate a passage to an experience, another book, or other facts about the world, they are “making a connection.” Making connections help students understand the author’s purpose and fiction or non-fiction story. Now to some strategies to help you with some typical college-level comprehension challenges as well as some of your specific challenges identified in the previous exercise. This is a strategy that takes a metacognitive (how we think about how we think) approach to comprehension, utilizing various strategies readers may already know they know how to do, then adding even more. For example, most readers have learned to make predictions (think ahead to the next stage of a plot in a mystery, for example), ask questions concerning meanings (“I wonder about…”), visualize a scene being described, associate the material being read to some other material, and, at the end, summarize the material (particularly if required to do so by an instructor or for a paper). I like to call these our “hard drive” skills. Like a computer hard drive always humming in the background doing its thing behind the scenes, our metacognitive skills have already been assisting us as readers. We just don’t usually talk about what we are doing, for example, “Well, by golly, now I’m predicting what Godzilla will do to the poor villagers in about two scenes from now,” we just automatically predict, especially if we are familiar with characters and plot lines. For another example, “I am now going to visualize this scene in graveyard when Hamlet comes across the deceased court jester’s skull in Act V, Scene 1.” We just see it in our mind’s eye. Just now, however, as a reminder, a review, and an affirmation of important comprehension skills you already possess, complete exercise 3.2, below.